Ethan my youngest was keen to do some Easter baking with me and Oliver my eldest wanted to practise some photography. This relegated me to chief bottle washer and supervisor which I was more than happy with, as I had already spent a lot of time in the kitchen making hot cross buns. I love spending time in the kitchen with the boys as it makes me nostalgic for the time I used to spend in the kitchen with my Dad. Relaxing and chatting for 30 minutes, with no interruptions from social media, the Xbox or phones is such a joy and rare in our hectic lives. With nostalgia being the theme, we agreed on a very simple recipe I remember making as a young lad, which Ethan could nail and that would look great when Oliver grabbed the camera. Not sure if calling it baking is stretching the skills needed, but if you can melt stuff, stir and spoon into cupcake cases then this is the recipe for you. Line a 12-hole muffin tin with paper cupcake cases. In a bowl set on a pan of simmering water, gently melt the chocolate, golden syrup and butter, stirring until smooth and fully combined. Gently fold in the cornflakes until totally coated in the chocolate. 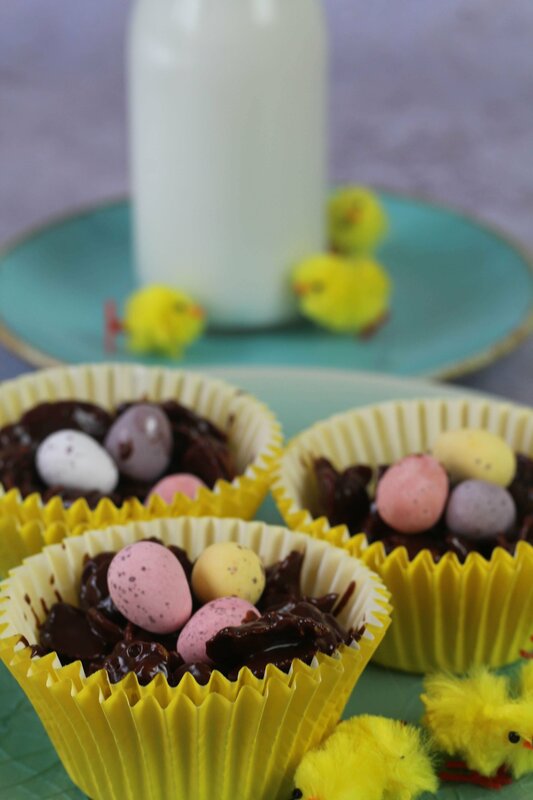 Divide the mixture between the 12 paper cases and pop 3 chocolate eggs into the centre of each nest. Chill in the fridge until completely set. 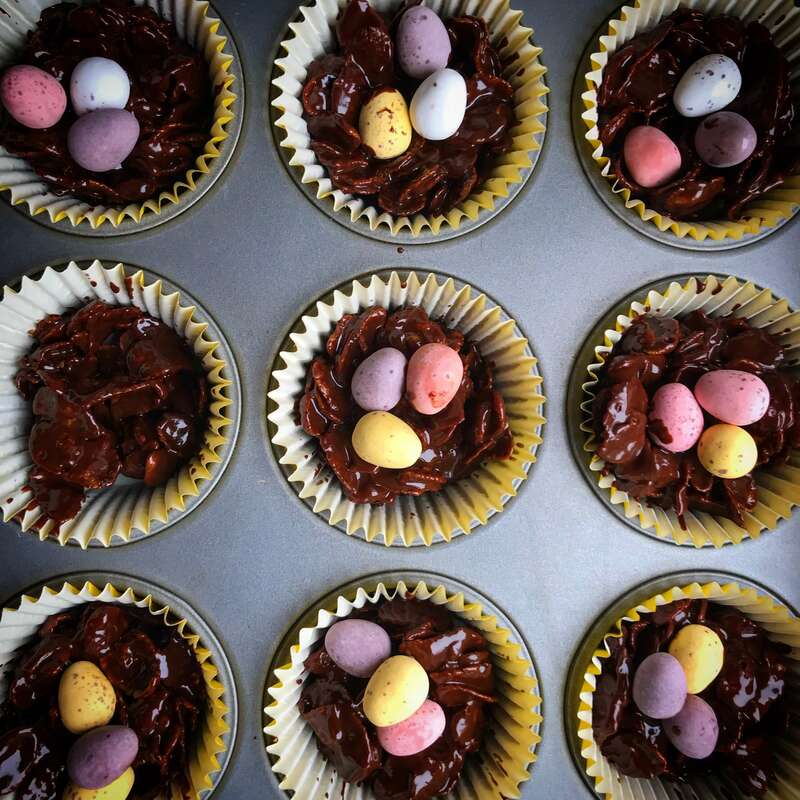 Old school chocolate cornflake nests for Easter.